In today's Wall Street Journal Total Return blog, Dr. 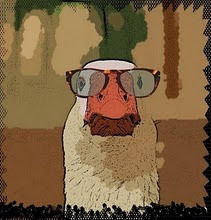 Goose has contributed a lyrical ode to Hurricane Sandy, running wild in Wall Street's canyon of high finance. Please visit me at the Journal, and be sure to leave a greeting.